When selecting the greatest individual seasons in Dragons history, the years compiled by Siri in 2017 and Austin Kearns in 2000 are at the top of the list. Siri spent the entire 2017 season with the Dragons and led the club into the second round of the Midwest League playoffs. His name was all over the MWL leaderboard. He finished first in the league in slugging percentage, runs, total bases, hits, extra base hits, and stolen bases. He finished second in the MWL in home runs and triples. He finished fourth in runs batted in and fifth in batting average. He hit .293 with 24 home runs, 76 RBI, a .530 slugging percentage, and 46 steals. 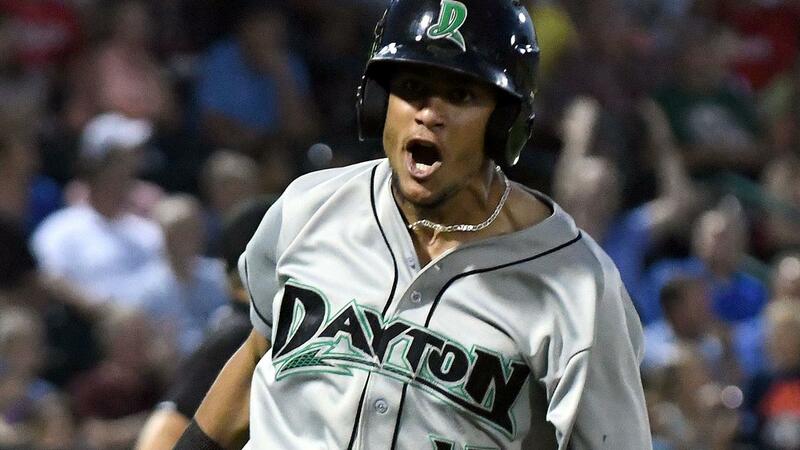 He became the first Midwest League player since 1982 to hit at least 20 home runs while stealing at least 40 bases (and the only player in Dragons history to reach those milestones). To top it off, Siri, a center fielder, was also selected by Baseball America's poll of league managers as the "Best Defensive Outfielder" in the league. Beyond all of Siri's production, he was also responsible for one of the most exciting and dramatic achievements in the Midwest League's long history. Starting in June, continuing through July, and carrying into August, Siri had at least one hit in every game. The drama built as Siri approached the 40-year-old league record for longest hitting streak, set at 35 in 1977 by Tony Toups of the Waterloo Indians. Siri broke the record in thrilling style on July 31, 2017, drilling an 0-2 pitch into left field with his final swing of the day. He went on to extend the record to 39 straight games and became one of the all-time fan favorites at Fifth Third Field. Siri joins the following players who have been previously announced as the 20 Greatest Dragons: Austin Kearns, Zack Cozart, Justin Turner, Homer Bailey, Samone Peters, Devin Mesoraco, Didi Gregorius, Tucker Barnhart, Todd Frazier, Wily Mo Peña, Jesse Winker, Edwin Encarnacion, Johnny Cueto, and Luis Bolivar.